we&apos;re happy to have you here. This page is meant to aid you in learning and publishing about us and the importance of meaning-based processing for intelligent interactions between man and data. If you need anything more or if you want to book an interview with us, feel free to contact me directly. We take your questions and feedback very seriously so be certain that you *will* get a detailed reply or someone back to you (depending on your preference) within 24 hours. Thank you for your interest in LEXISTEMS. Elsa Mayer // LEXISTEMS Media Contact // +33 (0) 608 029 688. November 27, 2018 - LEXISTEMS is both proud and honored to have received one of the five Enedis Startup of the Year 2018 Prizes, as well as the one and only President's Favorite Award, for its disruptive meaning-based data technologies. 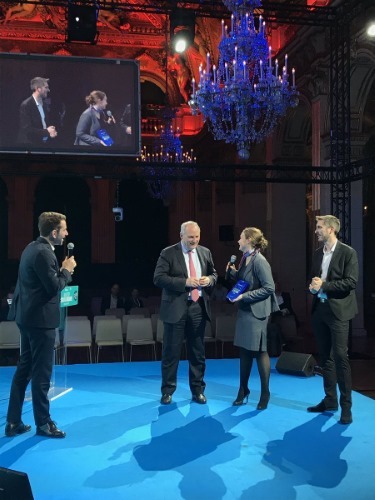 A crowd of innovators and business people, the business press and naturally Enedis senior staff had gathered in the splendor of Paris' City Hall for the ceremony - a moment that has now established itself as a major event in the AI, IOT and Big Data ecosystem. Of this year's five categories - Customer relations and Local services, Industrial performance, Training / Management, Health and Security, The Technician 3.0 - it is in the last one that LEXISTEMS has been distinguished, for a project of smart man-machine interface to be added to an existing application. The objective here is to let Enedis field technicians access a complex and heterogeneous library of maintenance documents in truly natural language. In other words, to equip them with a digital expert available 24/7, by speech or text, when in operation. Confirming that great news may come in pairs, LEXISTEMS also received Enedis' President's Favorite Award from the hands of Philippe Maloubou for "the extraordinary advance that accessing data by meaning represents." According to Mr Maloubou, "LEXISTEMS's solutions have a huge potential within data-rich organizations like Enedis because they make our capital of business expertise and know-how accessible in the simplest way possible..."
September 17, 2018 - Interacting freely with a TV, a set-top box, a connected device... A promise made by many but that only LEXISTEMS delivers for real, today, in several languages. With the SensibleTV® solution, just ask "Any family programs with dogs on mornings Thursday or Friday before 9 AM?" or "Find premiere romantic comedies in French with subtitles next week on my pay channels" and results arrive immediately, with a wealth of details on the returned programs when they show up on screen. That's what LEXISTEMS showed many telecom / TV / VOD operators from the entire world, on Sagemcom's spectacular IBC booth, using Sagemcom's set-top boxes equipped vith vocal remotes. 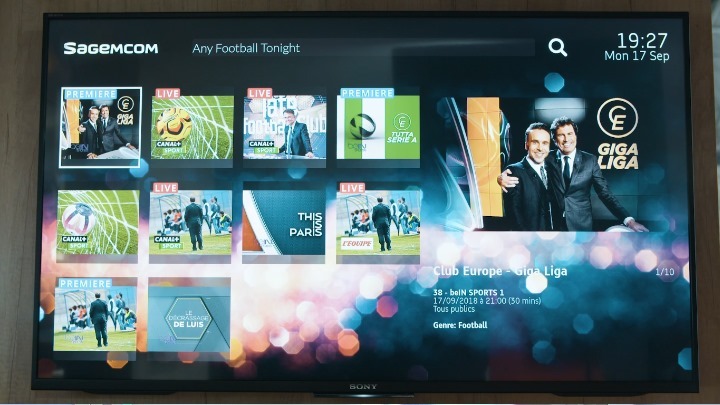 And if it is any indication, the time spent by these professionals watching the demo and playing with the system themselves clearly revealed an utmost interest in SensibleTV®'s performance and possibilities. For end users, obviously, but also for operators as countless applicative opportunities combine with the benefit of keeping control of all exchanged data (which is where the value is). Based on LEXISTEMS' meaning-based data technologies, SensibleTV® indeed outperforms all comparable 'big name' solutions scheduled for release in 2019. Why? Because SensibleTV® isn't limited by the use of keywords or the number of intentions and entities to hardcode. Far from it's competitors' basic questions and simplistic queries, SensibleTV® offers everyone a natural, intuitive experience in the consumption of media programs and additional services. Not to mention the most precise profiled recommendations system in this galaxy. 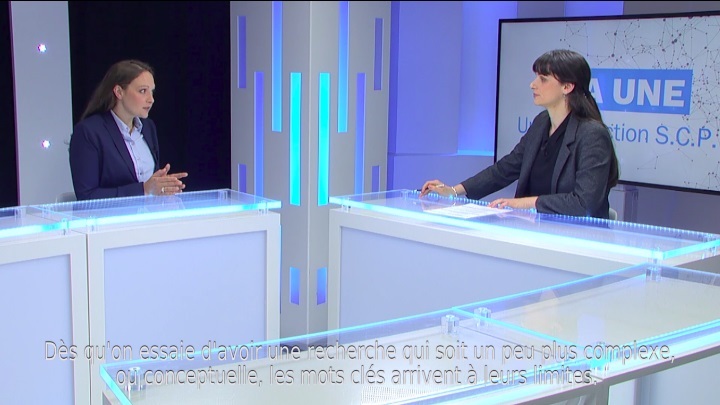 July 24, 2018 - Intelligent interactions between man and data... that's what LEXISTEMS' meaning-based data technologies are about, as Marie Granier, LEXISTEMS' CEO, explains on Capital TV - one of France's main business media (in French). When organizations abandon plain keywords and adopt meaning for data access and processing, added value is everywhere: employees feel empowered and become way more productive, customers finally get meaningful answers to their questions or enquiries, and machine-to-machine processes are capable of connecting data to automatically produce expert insights. Whatever the data type (text, geographical, digital or mathematical), structure (or lack thereof) or origin (corporate and/or public), whatever the user interface (from a simple search widget in a web or mobile app to a conversational chatbot), meaning is a powerful game changer, if only by turning the costs of producing and storing data into actionable business value and measurable ROI. 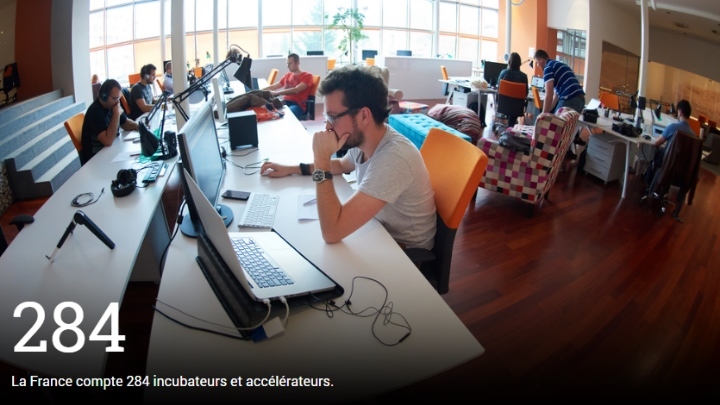 June 18, 2018 - "France has become a Startup Nation... From France, we are calling on Europe authorities to fulfil the continent's vocation as a world-class innovator. Europe is fully capable of making its own technological history without any insidious help from other blocks or countries." June 14, 2018 - Artificial Intelligence and Machine Learning: en route to Augmented Computing... It is around this question - quite pregnant today among business leaders - that Club IT for Business hosted their Nantes Dinner at L'Atlantide 1874, a venue well known to the city gourmets. And it is Marie Granier, CEO of LEXISTEMS, who delivered the opening speech. Granier reminded the audience of leaders of the high stakes and broad implications of this industrial revolution and at the same time warned them against the temptation of rushing adoption, based solely on hype or the fear of missing out. The takeaway? Always consider AI ​​for what it really is, i.e. a set of technologies (imagery, natural language, predictive analysis...), not an end in itself. Using examples, Granier explained why a bottom-up approach is key to successful deployments: start from concrete business problems, then validate, with the help of field and technical experts, the relevance of applying AI rather than other technologies to tackle these problems in an efficient, sustainable and economical way. 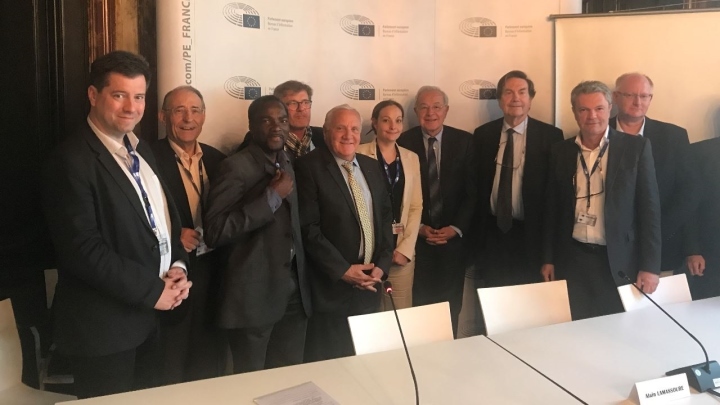 May 18, 2018 - In the context of consultations prior to possible legislative proposals, the E.U. Commission wanted to hear LEXISTEMS on the hot topic of European digital sovereignty. Marie Granier, CEO of the company, took the opportunity to remind the honorable assembly that the control of data is fundamentally dependent on the technologies with which data is accessed and that, therefore, actively fostering the emergence of European technologies, as our competitors do, may not necessarily be a bad idea. The big picture here is that the digitization of the world is accelerating and Europe faces losing its ability to control its data, i.e. its cultural, economic and military independence, i.e. its identity. Is it too late? Maybe not. In what she called an "Appeal of May 18", Marie Granier strongly urged its representatives that Europe immediately adopt more proactive structural policies, strengthen Commission- or State-owned structures and vote support budgets dimensioned for the magnitude and irreversibility of the issue. 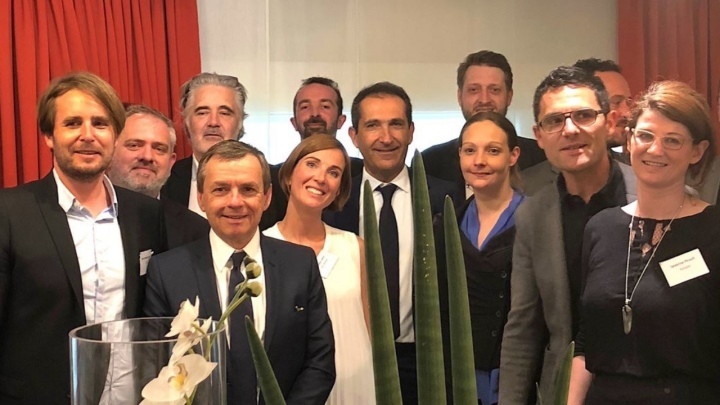 April 26, 2018 - It was in the welcoming setting of Novotel Nantes that took place a small committee lunch (hosted by ADN Ouest) whose purpose was to help identify common opportunities of value creation between the attendees. After she summed up the unique benefits of accessing and processing data by meaning, Marie Granier, CEO of LEXISTEMS, and Patrick Drahi, CEO of Altice, agreed on the major commercial interest of tagging media streams in real time based on meaning. Developments in this direction are under way at LEXISTEMS (the SensibleTags® technology), which should quickly materialize in operational APIs and open the door to unprecedented business applications. A zip file containing about everything you might need about LEXISTEMS for both online and print publishing. Resources are carefully structured in separate folders. A zip file containing a complete collection of LEXISTEMS logos, photos and scripted screen captures, in both web and print formats. A zip file containing LEXISTEMS&apos; press releases, in several languages, in PDF format. A zip file containing copies of and links to recent media coverage about LEXISTEMS. NB: the articles are either in English or an English translation is included. A zip file containing a selection of PowerPoint presentations about LEXISTEMS and our technologies, for you to get deeper, better know us and appreciate the implications of MEANING in data processing. LEXISTEMS delivers solutions for intelligent interactions between man and data. These solutions let organizations query, connect, analyze and produce information by MEANING, in natural language, in different languages. Which is way more powerful and pertinent than with keywords. LEXISTEMS' solutions are available as flexible APIs and based on state-of-the-art Artificial Intelligence, Natural Language Processing and security technologies. With just a few lines of code, they augment any application with operational intelligence, business expertise and natural language ease of use. For LEXISTEMS customers, data or documents assets - private and/or public - become profit centers with measurable ROI. "Keywords are not the solution. Meaning is. - Hype check..."
"Mieux que Google et Siri..."
"LEXISTEMS réinvente le moteur de recherche..."
LEXISTEMS offers exciting job opportunities in Semantic Data Science and Natural Language Processing. LEXISTEMS also provides advanced training services around our solutions as well as knowledge-related data science and AI technologies (French government Training center registration # 53 53 00857 53). LEXISTEMS is one of Enedis' 5 Startup of the Year 2018 and Enedis' President official 2018 Favorite. 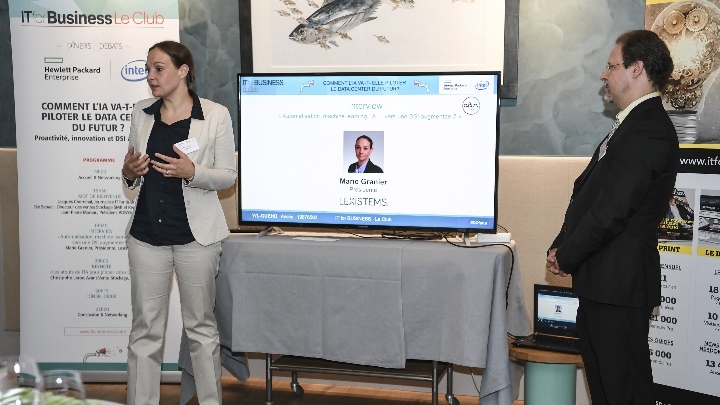 LEXISTEMS is laureate of the My Innovating Project contest from Caisse d'Epargne (BPCE-BPL, 2017). LEXISTEMS won the Grand Prix de l&apos;Initiative 2017 from Crédit Agricole (CAAM). LEXISTEMS is laureate of the French Concours National d&apos;Innovation Numérique 2017 (CIN /PIA). LEXISTEMS' CEO Marie Granier was nominated for the Femmes de L'Economie 2017 (Startups category).